This content is provided by T Robert Zochowski. Bob Zochowski is co-head of the firm’s Finance Practice Group. He has more than 25 years of experience as a financing lawyer, focusing on innovative and specialized finance structures. 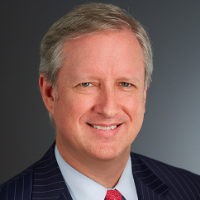 His expertise spans unique securitizations involving esoteric assets, such as films, patent royalties, power plants and hydrocarbon reserves, to project financings and other traditional financings. Bob’s clients include public and private companies, financial institutions and investment funds. He has extensive experience across a broad array of industries, including energy/infrastructure, media and entertainment, restaurants and technology.